This wild places program is about the science of night time in wilderness. How does the sky glow from cities, and light pollution in general affect wilderness areas? Steve interviews Chad Moore, a physical scientist with the National Park Service, and leader of their night sky research team. He talks about measuring light pollution in the parks. Steve talks with Dr. Travis Longcore, the science director of the Urban Wildlands Group. 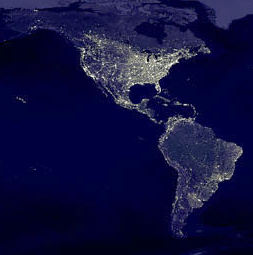 Along with Catherine Rich, they edited a book, Ecological Consequences of Artificial Night Lighting, which contains the definitive collection of scientific papers on the subject. Both Chad Moore and Dr. Longcore mentioned that the International Dark Sky Association is a good place for all kinds of information related to light pollution, it's prevention, and dark-sky science in general.